Styles change over the years. A few decades ago the rage was to have thin curving eyebrows that almost looked like they were drawn with one thin line. That’s pretty much the opposite of what we see today. Today, natural eyebrows are all the rage. We remember when Brooke Shields was given a lot of criticism for having such heavy eyebrows when she was young, but now everybody wants that kind of eyebrows. Unfortunately, we are not all gifted with those eyebrows, but with a few tricks and techniques, we can still make them look pretty damn good. 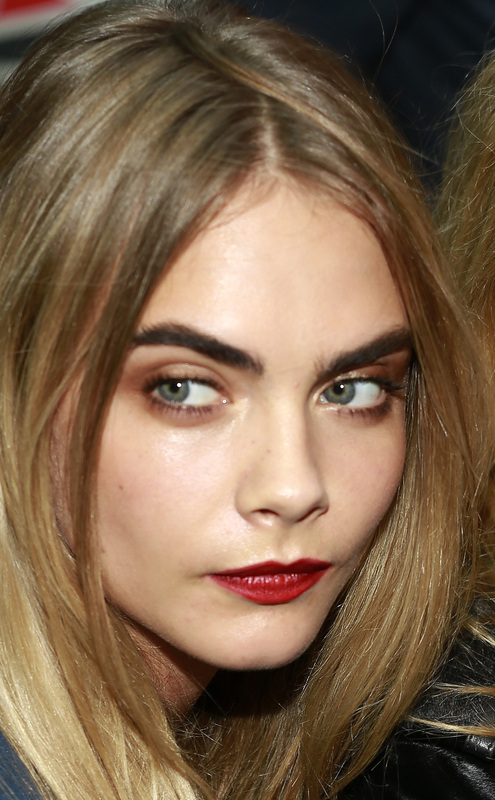 This is the most important tool in your eyebrow toolbox. You can touch up your eyebrows lightly, or go all the way to drawing new ones in (though we don’t suggest you do that). Steer away from hard lines, use small strokes and just fill in the edges or any missing spaces. Less is more. It’s a good idea to match your hair color to the pencil, but it’s a better idea to go one shade lighter. If you do this, it will have a tendency to blend better into the overall look and hair color. We generally don’t suggest you use product on your eyebrows, but some people with unruly eyebrows might have to. If you have to keep your eyebrows under control, try and use as little product as you possibly can. Make a large effort to keep any concealer or makeup away from your eyebrows as well. You also need to keep your eyebrows tidy. You don’t always have to thread them or pluck them, but it’s a good idea to brush them upwards and just trim the hairs that exist past the eyebrow line. Remember that your eyebrows are not the focus of your face. They are a frame for your eyes. So don’t get too carried away with hard lines and making them look like they have been painted on. You want them to look natural and enhance your eyes. We have heard that castor oil can help grow your eyebrows out. We have tried it and it seems to work, I would say it probably has to be tried by you as everybody is different. If you have over-plucked your eyebrows you might as well give it a try, it’s not going to hurt. The best thing you can do is follow the natural shape of your eyebrows. You can adjust it a little bit, but stick to the natural curve as best as you can. There is nothing more disturbing than seeing somebody’s eyebrows painted in an arch where they don’t belong. We suggest in the beginning, until you have found your path, to consult a professional on your eyebrows. They will help you more than we can. Once you have learned what a professional can teach you, it’s much easier to upkeep them yourself over time. If you can help it, don’t pluck your eyebrows too much. Try and do as little as possible and only take the hairs which cause problems. Don’t go overboard in avoiding the unibrow as well. If you pluck too many hairs from between your eyes it can have a strange look. You should never pluck past the bridge of your nose. Eyebrows are one of the more underrated makeup techniques that people tend to forget about. It’s very common to either do nothing or to do too much. Remember that your eyebrows are there to frame your eyes, and not take away from them. You want them to look natural and beautiful. They always say that the best makeup is the one that you can’t tell is there, and this is never truer than with eyebrows.